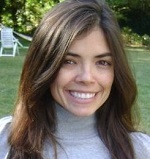 Professor Ana Catarina Teixeira completed her PhD in Portuguese and Brazilian Studies at Brown University (2014). Prior to joining the faculty at Emory in 2014, Prof. Teixeira taught at the Massachusetts Institute of Technology, the University of North Carolina at Asheville, the University of Rhode Island, and Brigham Young University. Her primary research and teaching interests are in the areas of postcolonial and cultural studies, with a focus on the formation of national identity in post-independence Angolan narratives and the literary and cinematographic connections of the Luso-Afro-Brazilian triangle. She is also interested in best practices for second-language acquisition. She has directed the Portuguese Program at Emory since 2015, and is the advisor for the Spanish and Portuguese major and the Lusophone Studies minor. Prof. Teixeira is also Core Faculty at the Institute for African Studies, for which she teaches multiple cross-listed courses. Prof. Teixeira has lived, travelled and done research in Portugal, Brazil, Angola, and the Cape Verde islands. Her work on the literatures and cultures of Lusophone Africa, Portugal, and Brazil includes multiple published articles, reviews, author interviews, and translations. She is also the proud mother of Lucas and Beatriz.